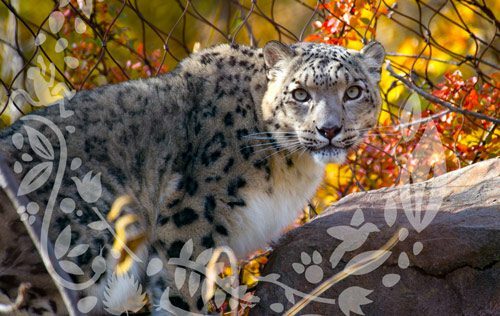 Evolving with the times, Minnesota’s most iconic animal ambassador gets ready for a remodel. Sea lions are gregarious by nature, but Como Zoo’s 7-year-old Subee raises sociability to a new level. 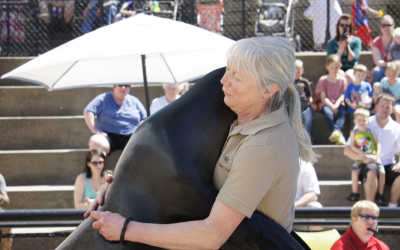 When aquatics keepers cross the threshold into the California sea lion’s exhibit area, Subee hauls out of the water at high speed, skidding to a stop at the feet of senior keeper Allison Jungheim. After a summer spent doing her homework in “Sparky School,” the theme for last season’s Sparky the Sea Lion Show, Subee will make her official debut as Sparky in 2016, becoming the seventh sea lion in almost as many decades to perform for the crowds at Como Zoo. While her predecessor CC, Sparky VI, earned a reputation among trainers for her entertaining diva-like tendencies, Subee has an ecstatic approach to swimming and diving that’s all her own. “Her energy is unbelievable, and she likes to do things with a little extra flourish,” Jungheim says. Subee arrived at Como in 2010, after being rehabilitated at a marine mammal rescue site in California following what veterinarians believe was a shark attack. An injured right rear flipper, shattered cartilage and scar tissue made her a poor risk for survival in the wild, but the 190-pound sea lion still has plenty of energy to pester her pool-mates, 25-year-old CC, and Mystic, CC’s 33-year-old mother. Sparky the Sea Lion was the first animal at Como Zoo to take part in operant conditioning training, a program that now includes hundreds of animals at Como. 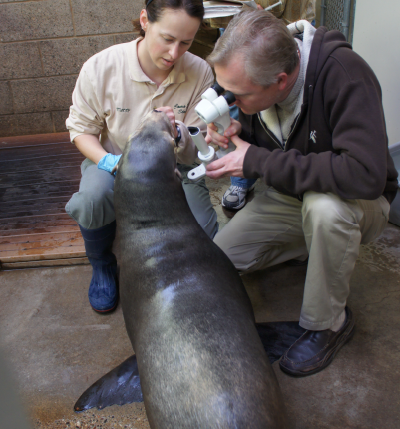 More than 150,000 visitors saw a Sparky the Sea Lion Show or seal island demonstration in 2014. Based on Como Zoo’s past economic impact, Sparky’s new remodeling plan could have an estimated $31 million in economic impact in the region. As long-time Como visitors will remember, the original Sparky Show wasn’t about conservation at all—instead it played to the carnival atmosphere common to zoos in the 1950s. Trust between Sparky and her trainers has been a Como tradition for 60 years. Though Sparky’s been a Minnesota tradition for 60 years, her story actually got its start at a gas station in The Dalles, Oregon, where owner Archie Brand had a small collection of trained animals, including a male sea lion named Flipper who displayed serious acting chops. (“Flipper was a natural actor,” Brand once told the Milwaukee Sentinel. “He was a lot smarter than I was. I was full of stage fright.”) The pair became a popular touring act at sportsman’s fairs and summer carnivals, but at the urging of St. Paul businessman and broadcaster Stan Hubbard Sr., Brand and his sea lion show made Como Zoo their home base in 1956. When Byng retired, Como’s aquatics keepers took over the animal training effort, instituting a new operant conditioning training program paid for by the brand-new fundraising group now known as Como Friends. The more progressive approach to animal care relies on positive reinforcement to stimulate animals’ natural behaviors, encouraging animals to participate in their own health care. That meant eliminating the public feeding pool at Seal Island, and using daily training sessions to build the bonds between animals and keepers. The shift quickly lowered aggression between the seals and sea lions because they were no longer competing with each other for food. It also allowed keepers to provide good geriatric care to aging animals like Sparky V, who even cooperated with trainers to remove a skin lesion with local anesthetic. Daily animal training sessions are a big attraction at Como Zoo, where more than 100,000 visitors every year drop in on a demonstration for primates, polar bears, or pinnipeds—the three most popular draws. While Polar Bear Odyssey and Gorilla Forest were built specifically to showcase these sessions, Seal Island was never designed for training—in fact, it wasn’t intended for seals at all. Como Zoo’s successful operant conditioning training program encourages animals to participate in their own health care. “What we call ‘Seal Island’ was originally built during the WPA era as Monkey Island, and it used to be the home to monkeys, alligators, apparently even bears—though I can’t even imagine what that was like,” Jungheim says. The exhibit was retrofitted in the late 1970s to display seals and sea lions, but its design features have long posed a challenge to people and pinnipeds alike. Keepers must cross a retractable bridge to reach the island for daily training sessions, where it’s difficult to separate animals for special care. The surrounding pool also lacks the filtration system necessary for salt water, forcing the animals to move indoors to the aquatics building for nearly nine months every year. Inside, the larger pool best suited to Como Zoo’s three sea lions is sited opposite the feeder pool to the Sparky amphitheater. 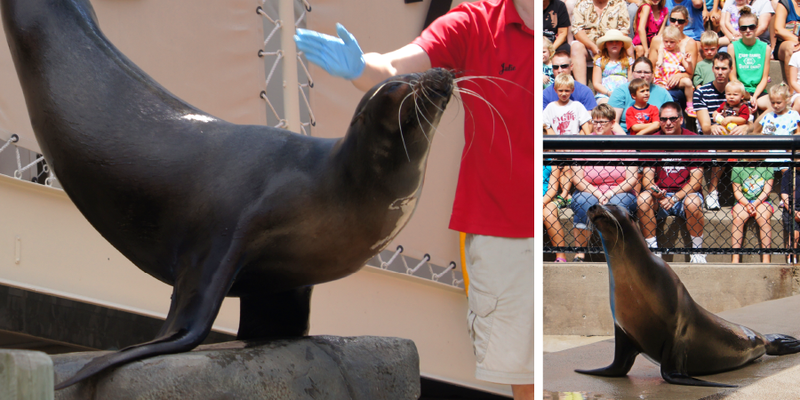 This past summer, that required keepers to close the aquatics building for a set time every day to allow CC, Mystic, and Subee to “walk” from one side to another on their way to the show—an inconvenience the sea lions may have enjoyed more than their keepers. “Some days they like to stop and look at the penguins,” Jungheim says. The $14.5 million remodeling plan calls for several major upgrades including a salt water filtration system that will allow seals and sea lions to swim outdoors year-round—just as they would in the wild. The immersive design of the habitat will allow keepers to conduct training sessions in several different locations, each designed with natural substrate, rock work and plantings that will evoke the Pacific coastline habitat. With a newly shaded amphitheater and underwater views of animals, the multi-layered habitat will give visitors better views and greater insights into the natural behaviors and native intelligence of marine mammals. Public enthusiasm for Polar Bear Odyssey was so high that Como welcomed 2.2 million visitors the year it opened—more than a 10 percent surge over Como’s average annual attendance of just under two million. While major upgrades clearly drive attendance at Como, Minnesota’s most visited cultural institution, recent projects have also helped drive the state’s economy. For instance, the $11 million in public funding that paid for the Gorilla Forest expansion opened in 2013 created more than 200 jobs and $24 million in economic impact for the region. This fall, Como was one of several Minnesota institutions to host lawmakers for a series of sight-seeing tours, studying bonding requests that will come before the Legislature later this year. 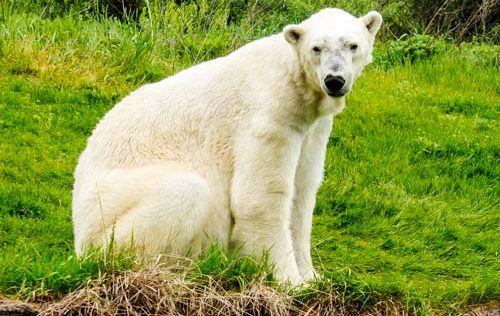 “Those visits are really valuable, because if you haven’t been to Como in the last decade, you may not realize that this ‘old-time’ Minnesota tradition has really been transformed by some very forward-looking projects, from the Visitor Center to one of the nation’s best polar bear exhibits,” says Sticha. Creating a new home for Sparky and her friends may also reap returns that are harder to measure—but no less valuable. “As a former teacher, I can tell you that the connections kids are making when they get face to face with an animal like Sparky are more powerful and memorable than anything you can learn about nature in a book,” says Nelson. 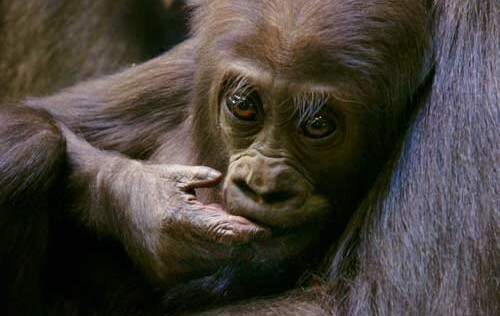 In fact, a recent report in the Journal of Experimental Social Psychology found that conservation messages that anthropomorphize nature, fostering a “personal” connection to an animal like Sparky the Sea Lion or Smokey the Bear, make children and adults feel more connected to the environment, and more accountable for making wise choices. Archie Brand was my great uncle and we have his original hat he wore while traveling with his seal show! Love to hear family stories about him and his seals!